In this conference report we discuss our highlights from the 13th Workshop on Recent Issues in Bioanalysis (WRIB). The conference was held in New Orleans, USA from 1–4 April 2019. The Bioanalysis and Bioanalysis Zone team were in attendance and had an exciting few days attending talks, viewing posters and networking with new and familiar faces. 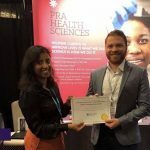 WRIB Outstanding Poster Awards – We are very proud to be supporting the WRIB Outstanding Poster Awards again this year. 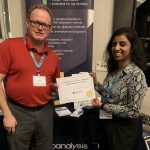 WRIB has always provided a platform for upcoming scientists to showcase their work and we are delighted to be playing a part in ensuring their vision for the future reaches the global bioanalytical community. Each year the quality of the presentations increase, and this year was no different, so congratulations to all presenters. Three winners were announced and presented with their prizes at WRIB, and we very much look forward to working with them on the Special Feature. Congratulations once again to the winners: Ryan Darling (PRA Health Sciences), Pei Li (Biogen) and Eric Bonner (Eurofins). Thanks to the judges from across the three days: Amanda Wilson (AstraZeneca), Timothy Olah (BMS), Kevin Bateman (Merck), Matthew Szapacs (GSK), Christine Grimaldi (Boehringer-Ingelheim) and Yan Zhang (BMS). The Bioanalysis Zone Masquerade Ball – On Thursday 4 April 2019, at Pat O’s on the River in New Orleans, the Bioanalysis Zone and Bioanalysis team hosted an exclusive masquerade ball to celebrate our 10th anniversary! It was great to see so many familiar faces and we hope you enjoyed all the entertainment, including the drinks, creole cuisine, dancing and had a chance to get your caricature done by the artist. 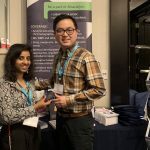 Congratulations to the winners of the raffle prizes from Bioanalysis Zone, PRA Health Sciences and Charles River! Thank you to PRA Health Sciences and Charles River for making the event possible! Bioanalysis Zone Panel Discussion and Coffee Chat – We had the privilege of filming a panel discussion featuring key opinion leaders on the hot topic of ICH M10. In this discussion we gain a 360 perspective on the new draft guidance, where experts discuss their thoughts. We also filmed our first ever Coffee Chat, an informal discussion giving us the opportunity to open conversations on one particular topic: patient-centric sampling. Our hope is that through having these open discussions, together we can progress the field of bioanalysis and encourage dialogue among the bioanalytical community.